“Exosome Market Dynamics, Part III--Study of Exosomes in Various Disease Classes—Cancer and Beyond” produced by Select Biosciences was published on July 21, 2015 by Genetic Engineering & Technology News (GEN). Authored by Gary Oosta, Ph.D., and Enal Razvi, Ph.D., this report represents the third of a series of three reports on the exosome marketplace that GEN has published (note the link to all three full reports are provided at the end of this article. In this last report, Select Biosciences examines studies of the involvement of exosomes in various classes of diseases. According to GEN’s announcement of the report, cancer is the driver of the broader exosome space, driven in large part by the study of exosomes and their cargo as potential biomarkers for cancer. In addition to cancer, other disease classes such as cardiovascular disease as well as CNS diseases are being impacted by exosomes, as evidenced by the publication record. This suggests, GEN states, that the field of exosome research is broadening and potentially can impact various diseases. 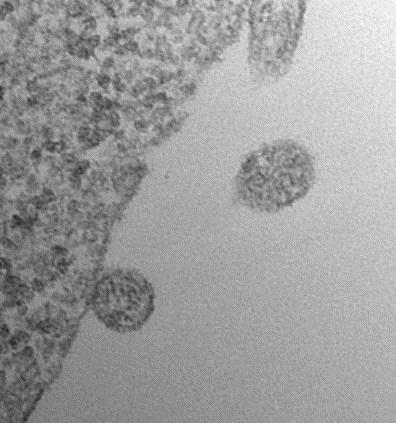 The large potential opportunity emanating from all the body of research on exosomes is that the potential exists to capture and analyze exosomes from biological fluids in the hope of identifying the cargo contained within the exosomes, with the explicit aim to understand basic cell-cell communication, but also seek to develop diagnostics that leverage the power of exosomes as carriers of circulating biomarkers. Taken together, GEN says, the report’s broad-brush analysis of the entire publications record of exosomes research suggests that the field of exosomes research is now moving from the purely research phased to entering the realm of clinical translation, where studies are being performed to harvest and capture the full potential of exosomes across various disease classes. A class of hormonal drugs called aromatase inhibitors substantially reduce the risk of death in postmenopausal women with the most common type of breast cancer, a major study of more than 30,000 women shows. The research underscores the importance of aromatase inhibitors in the treatment of estrogen receptor (ER)-positive breast cancer - and shows these drugs reduce risk of death by significantly more than the older hormonal treatment tamoxifen. The study, published online on July 23, 2015 in an open-access article in The Lancet, is relevant to postmenopausal women with ER-positive breast cancer, which accounts for over 80 per cent of cases which occur after menopause. Each trial had used both aromatase inhibitors and tamoxifen at various times during the course of treatment. 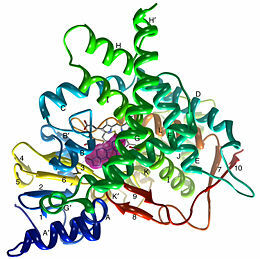 The article is titled “Aromatase Inhibitors Versus Tamoxifen in Early Breast Cancer: Patient-Level Meta-Analysis of the Randomised Trials.” In the study, researchers from the Aromatase Inhibitors Overview Group - chaired by Professor Mitch Dowsett at The Institute of Cancer Research, London, and The Royal Marsden NHS Foundation Trust - collaborated with colleagues at the Clinical Trials Service Unit at The University of Oxford, to combine the results from 31,920 women in nine clinical trials. The study was funded by Cancer Research UK and the Medical Research Council (MRC) and conducted under the umbrella of the Early Breast Cancer Trialists Collaborative Group. Aromatase inhibitors suppress the synthesis of estrogens and are taken by postmenopausal women with hormone-sensitive (ER-positive) breast cancer. These inhibitors have previously been reported to reduce the risk of recurrence more effectively than tamoxifen, but improvements in survival had not been demonstrated. Stink bug mothers will lay darker or lighter eggs depending on how much light is reflecting off of a surface. The newly discovered adaptation is likely related to how some species of stink bugs are able to deposit their eggs on top of leaves, as the darker-colored eggs are better protected from UV radiation. Surprisingly, the eggs are not darkened by melanin, but by a previously unknown pigment. The findings, published online on July 23, 2015 in Current Biology, were driven by the curiosity of a University of Montreal Ph.D. student (Paul Abram), who uses the stink bugs as hosts for parasitic wasps. The article is titled “An Insect with Selective Control of Egg Coloration.” Egg color variation exists in other species of animals, but how Podisus maculiventris (the spined soldier stink bug, commonly found in fields and backyard gardens across North America) selectively controls egg pigmentation based on light perception is a new take on the trait. Certain birds and insects will lay subtly differently colored eggs, but typically in response to changes in age or diet, not in response to a sensory cue from the environment. "We suspect that these bugs possess some kind of physiological system that receives visual input from the environment and then modulates the application of a pigment in real time," says lead author Abram, who is working toward his doctorate in entomology. "This is the first animal found that can selectively control egg color in response to environmental conditions, but we really doubt that it's the only one." Abram was inspired to pursue this line of research by the crossword puzzle of a newspaper lining the bottom of a stink bug cage. He noticed that darker-colored eggs tended to appear on the black squares of the puzzle and the lighter-colored eggs on the light squares. For decades, the public has been told to avoid foods high in saturated fats and cholesterol. A new study, led by the National Marine Mammal Foundation (NMMF) and published in online on July 22, 2015 in the open-access journal PLOS ONE, reports that a saturated fat, called heptadecanoic acid, may help reverse prediabetes in humans. 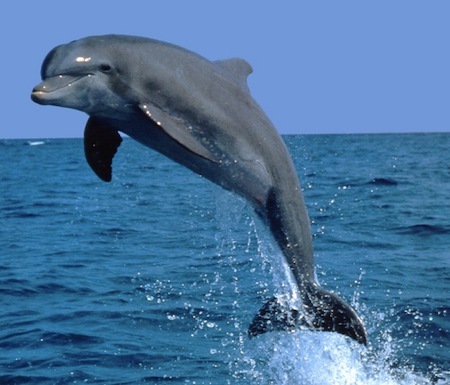 NMMF research discovered that bottlenose dolphins can readily switch in and out of diabetes-like states, and that dolphins - including those in the wild - can develop metabolic syndrome, a subclinical condition called prediabetes in humans. "To better understand what may be a driver for metabolic syndrome in dolphins, we started exploring their diet, which is primarily fish," said Dr. Stephanie Venn-Watson, Director of the NMMF's Translational Medicine and Research Program and the study's lead author. Because of the popularity of fish-based omega-3 fatty acids as a human health supplement, NMMF's team started by assessing fatty acid blood levels in 49 dolphins, as well as in their dietary fish. "We were surprised to find that among the 55 fatty acids studied, the saturated fat heptadecanoic acid appeared to have had the most beneficial impact on dolphin metabolism," said Dr. Venn-Watson. "Dolphins with higher levels of heptadecanoic acid in their blood had lower insulin and triglycerides." The study also showed that while some fish have high levels of heptadecanoic acid, other fish types had none. Six dolphins with low heptadecanoic acid were then fed fish high in this fatty acid. Within six months on the new diet, indicators of metabolic syndrome in dolphins, including elevated insulin, glucose, and triglycerides normalized. Key to this surprising outcome was reversal of high ferritin, an underlying precursor to metabolic syndrome. For the first time, chromosomal defects responsible for hemophilia have been corrected in patient-specific induced pluripotent stem cells (iPSCs) using CRISPR/Cas9 nucleases for gene editing. The scientific report of this possibly life-saving advance is titled “Functional Correction of Large Factor VIII Gene Chromosomal Inversions in Hemophilia A Patient-Derived iPSCs Using CRISPR-Cas9.” It published online on July 23, 2015 in Cell Stem Cell. 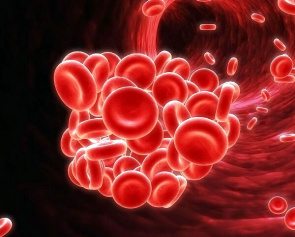 Sufferers of hemophilia live in a perpetual state of stress and anxiety: their joints wear down prematurely and they have bleeding episodes that feel as if they will never end. Their bodies lack the ability to make the clotting factor responsible for the coagulation of blood so any cut or bruise can turn into an emergency without immediate treatment. Hemophilia A occurs in approximately 1 in 5,000 male births and almost half of severe cases are caused by identified “chromosomal inversions.” In a chromosomal inversion, the order of a sequence of base pairs on the chromosome is reversed so that a gene containing the inversion is not expressed properly. In chromosomal inversions in hemophilia A, the sufferer cannot express the blood coagulation factor VIII (F8) gene, and therefore lacks the protein (factor VIII) that causes blood to clot in healthy people. A Korean team, led by Director of the Center for Genome Engineering Dr. Jin-Soo Kim, Institute for Basic Science (IBS), and Professor Dong-Wook Kim at Yonsei University, has experimented with hemophilia-A-patient-derived induced pluripotent stem cells (iPSCs) and hemophilia mice and found a way to correct the hemophilia-A-causioning inversions and repair the clotting factor deficiency that causes hemophilia A.
Ginkgo Bioworks, an organism design company, today (July 23, 2015)announced that it has raised $45 million in an oversubscribed Series B round. Viking Global, a firm managing more than $30 billion in capital, led the round along with previous investors including OS Fund, Y Combinator and Felicis Ventures. The new funds will be used to expand into new categories such as pharmaceuticals, cosmetics, and probiotics, as well as hire additional employees and build out Bioworks 2, the next generation of Ginkgo’s robotic Foundry. “Ginkgo Bioworks was our first-ever biotech investment and was part of the Y Combinator class of 2014,” said Sam Altman, President at Y Combinator. “Synthetic biology is one of the fastest growing areas of tech right now and Ginkgo is leading the category. We're excited to invest again in the company." Ginkgo Bioworks is at the intersection of industrial design and biology, delivering designer organisms built to specification for customers. The company specializes in engineering microbes to produce cultured ingredients such as flavors, fragrances, cosmetics, and sweeteners. The company’s foundry, Bioworks1, employs proprietary software and robotics to streamline the design, construction, and testing of engineered organisms. “This new financing allows us to further expand into real-world products in the nutrition, health, and consumer goods sectors, as well as add to our world-class team of engineers and designers,” said Jason Kelly, Co-Founder, Ginkgo Bioworks. “We’re excited to have top investors like Viking, OS Fund, Y Combinator, and Felicis to support our efforts and continued growth.” Ginkgo currently has more than 20 organism design contracts with customers, including Fortune 500 companies. A new drug that blocks cancer's escape route from chemotherapy could be used to treat deadly lung and pancreatic cancers, new research reports. Scientists have shown in human cancer cells and in mice that the drug, which was discovered at The Institute of Cancer Research in London, boosts the effectiveness of conventional chemotherapy. The drug, known as CCT245737, is scheduled to begin first-in-human clinical trials in patients with lung and pancreatic cancers - two cancers with low survival rates that continue to resist currently available treatments. CCT245737 is the first orally active, clinical development candidate CHK1 inhibitor to be described. The new study was published online on July 22, 2015 the journal Oncotarget, and was funded by Cancer Research UK and Sareum Limited. The article is titled “The Clinical Development Candidate CCT245737 Is an Orally Active CHK1 Inhibitor with Preclinical Activity in RAS Mutant NSCLC and Eµ-MYC Driven B-cell Lymphoma.” The research, conducted at The Institute of Cancer Research (ICR) in collaboration with colleagues at the drug discovery company Sareum and at Newcastle University, shows the effectiveness of a new class of drugs called CHK1 inhibitors that can be delivered orally to patients. Most chemotherapies work by damaging the DNA of rapidly dividing cells. But in response, cancer cells activate a molecule called CHK1 that delays cell division and gives cancer cells time to repair their damaged DNA. Scientists hoped that blocking CHK1 could stop cancer cells from repairing DNA damage and prevent them from becoming resistant to the cell-killing effects of chemotherapy. Researchers developed techniques to assess the method of action of CCT245737 in human cancer cell lines, and demonstrated that it potently blocked the molecule CHK1.